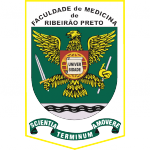 The Department of Pharmacology was installed in March 1955 with the arrival in Ribeirão Preto of Prof. Gerhard Werner, of Austrian nationality, at the invitation of Prof. Lucien Lison, who played an important role as mediator in the hiring of several other Professors in the European Universities. The most recent period, where they succeeded in leading the Profs. Dr. Alexandre Pinto Corrado, Adolfo Max Rothschild, Sérgio Henrique Ferreira, Fernando Morgan de Aguiar Corrêa and Wiliam Alves do Prado. The Prof. Werner impressed everyone by the relative ease of expressing himself in Portuguese, a fact that, together with his previous university experience in another third world country, India, contributed to his adaptation to our university environment, facilitating his performance as an excellent teacher. He carried significant scientific baggage (over 200 jobs), and also had a performance as a human resources counselor in the specialty. The didactic activities were complemented by Drs. Armando O. Ramos and Alexandre P. Corrado, hired as Instructors by the university, respectively 12 and 16 months after the installation of the Department. Research activities in this period included the assembly of physiology and pharmacology techniques necessary for the administration of the specialty course, to the implementation of neuropharmacological methodologies for the development of research lines. Werner was already developing before his arrival in Ribeirão Preto. These lines involved the study of the mechanisms responsible for the regulation of neurotransmission at the level of somatic neuromuscular junctions, as well as the mechanisms responsible for the electrophysiological changes induced by convulsive agents in restricted areas of the central nervous system after its administration by the venous and / or intracerebroventricular. We will see later that the implementation of the latter technique, associated with electroencephalographic records in awake animals, enabled the realization of the studies related to the central actions of bradykinin, already occurred in the management of Prof. Maurício Rocha e Silva. Among the papers published in this first period, those that clarified the mechanism of potentiation, caused by aminoglycoside antibiotics (AAG), to neuromuscular blockade induced by “curares” for surgical purposes are highlighted. The demonstration of calcium ion as a specific antagonistic agent of these side effects of AAG definitely confirms the danger of the eventual occurrence of respiratory arrest in the immediate postoperative period of patients treated prophylactically with such antibiotics by the peritoneal route. This real contribution of the Department, which resulted from the joint work of Drs. Alexandre Pinto Corrado and Armando Octávio Ramos, besides the representative of the Applied Areas, Dr. Cláudio Tácito Escobar, Department of Surgery of this Unit, was one of the first Integrated studies among the basic and applied areas of this Unit, an important fact that, as we shall see, has been repeated over and over again in the history of the Department. They completed the group: Odete Pizarro, who was the first Secretary; Pedro Furtado, responsible for the cleaning of the Department and a young man of 16, who, when we arrived, worked as Technical Assistant to Prof. Werner. It was Diléo Salviano dos Reis, who began his career under the guidance of the aforementioned Professor, and who, years later, would become the living and dynamic example of this true art of setting up scientific techniques and methodologies, since he was responsible for Initiation of the majority of technicians who succeeded the Department. Time after our arrival, another technician, Hélgio L. Werneck, was transferred from Microbiology, who, in view of his affinity for the technical drawing, was already in the management of Prof. Rocha e Silva, assigned to set up a Section specialized in Scientific Documentation, the first, we are told, created in the Unit and that, for a long time, also served other Departments. The role played by this Technical-Administrative Support Personnel has always been considered of particular importance by the Department, throughout its existence. With the Department flowing in this increasing way in terms of research and teaching, Prof. Werner, for reasons not inherent to his will, had to leave Brazil in 1957.